Flamingos are everywhere at the moment, so Gail Penberthy has designed these two fantastic three dimensional flamingo cushions that will brighten up any home, caravan or motorhome. 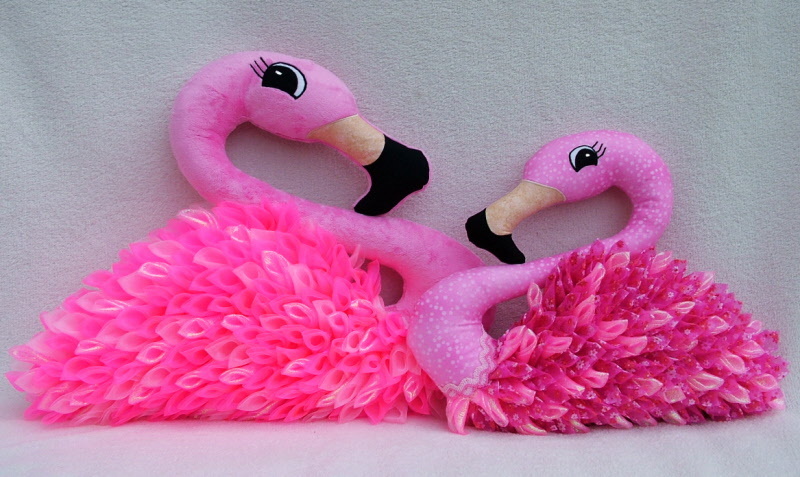 They are great fun to make and you get the instructions to make both sizes of the flamingos. The large one measures 19 x 14 inches and the small one measures 15 x 11 inches.